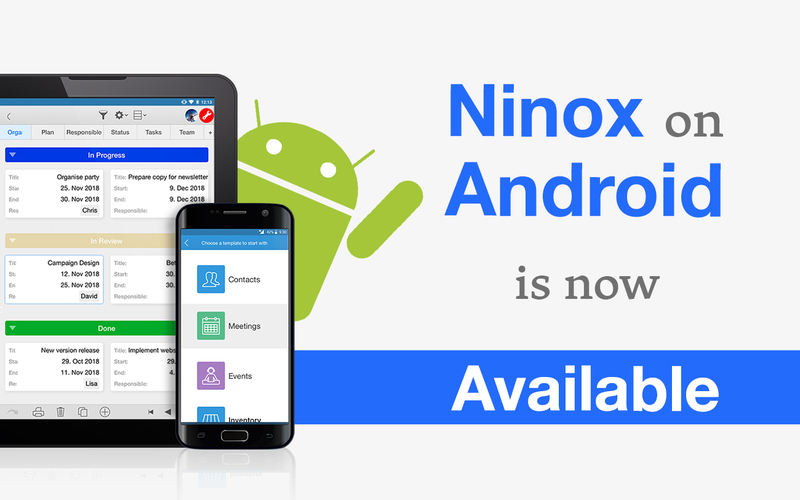 Ninox app is now available for Android devices!! This is is very exciting for us, as we take a significant step forward in our vision to make Ninox available for everyone and from anywhere. All the features that you like about Ninox are now available on all Android devices and it's for free!! We are obliged for your valuable feedback and suggestions throughout this process and invite you to try Ninox on Android.